We got out today before the storm hits, had another amazing day. 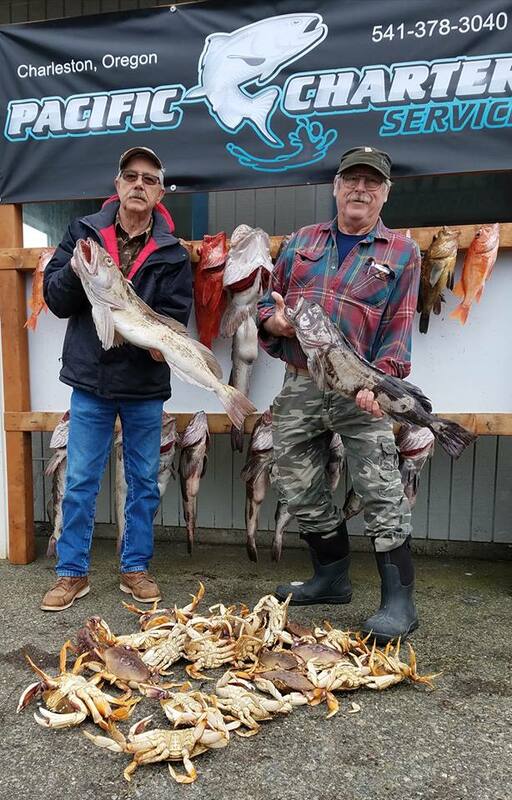 We got 6 limits of Lingcod and rockfish added 2 limits of ocean crab. We saw 4 whales and over 100 dolphins. It was a terrific day on the ocean today. 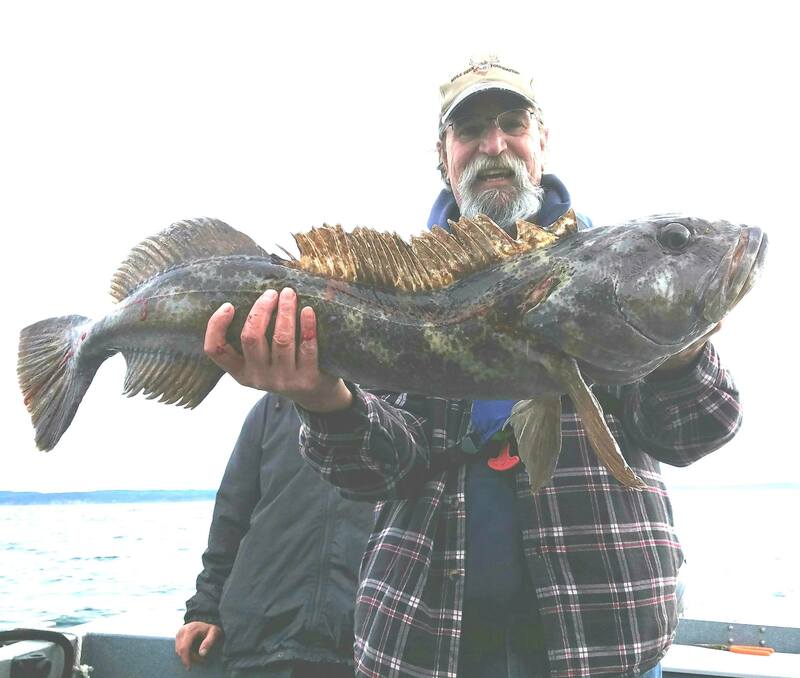 The Deep-Water Lingcod & Rockfish charter is Pacific Charter Service’s signature trip. 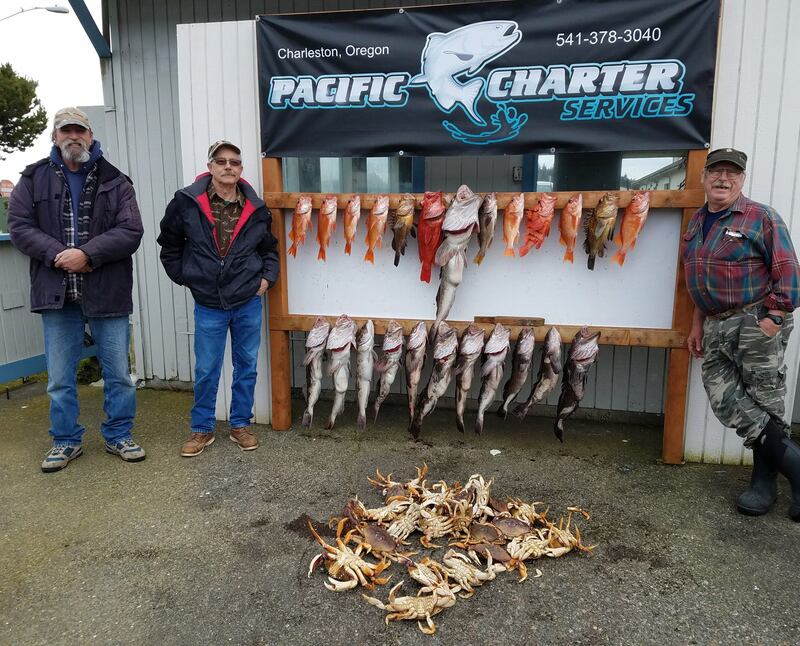 It has the reputation for being the best fishing charter of the Oregon Coast, and customers have been 100% satisfied year after year fishing with us. We know people want to catch lots of big fish, have a great memorable experience, and leave at the end of the day feeling as though they made new friends. That’s what it’s all about! 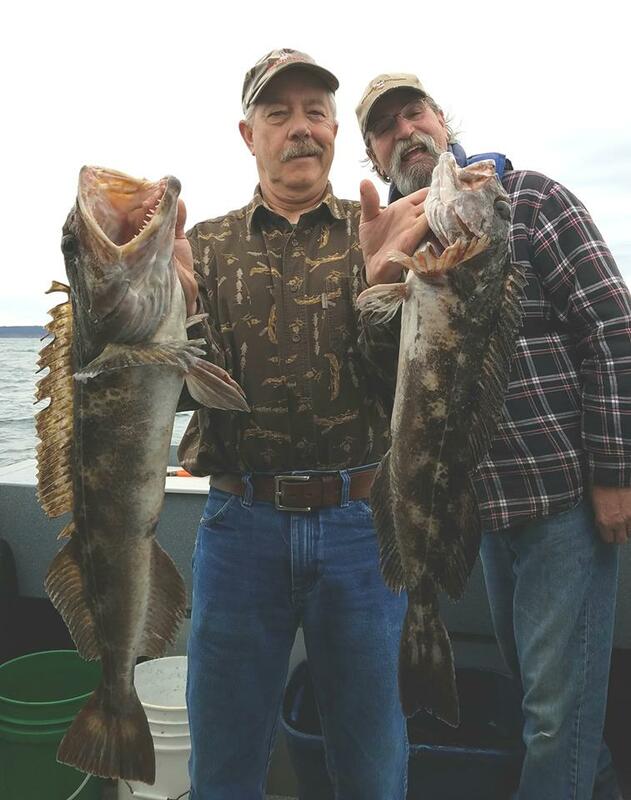 Charter fishing trips never have more than six customers at a time, plus two crew. Customers can enjoy personalized service without the crowded environment. 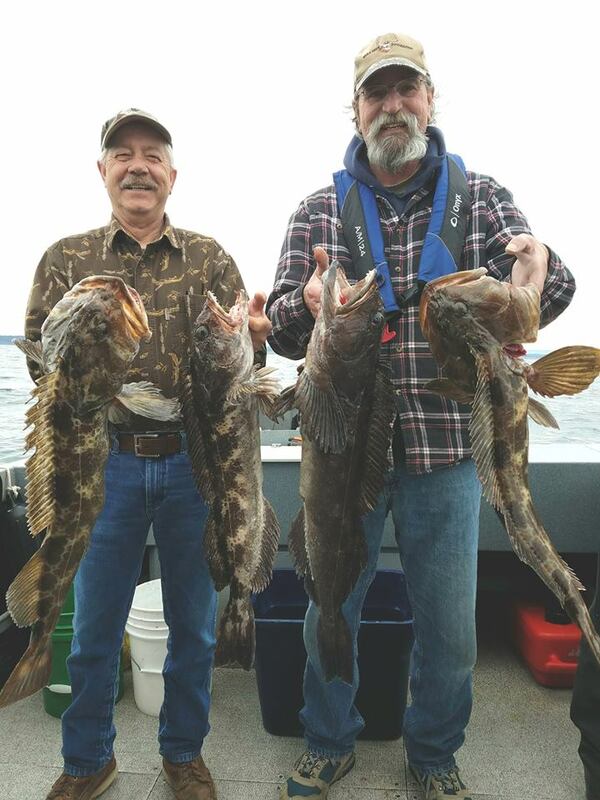 This makes for a friendly and relaxed guided fishing trip, which is great for families and avid sport fishermen alike. All the bait & tackle is provided. Each fishing charter starts with a fresh cup of coffee at check-in at our charter office, and then a short walk to board our boat. Travel time is about 30 minutes once we leave the dock to arrive at our fishing destination, which is about 8 miles South of the jetty. Captain Curt will provide all the help and coaching needed to ensure you have a successful fishing trip. 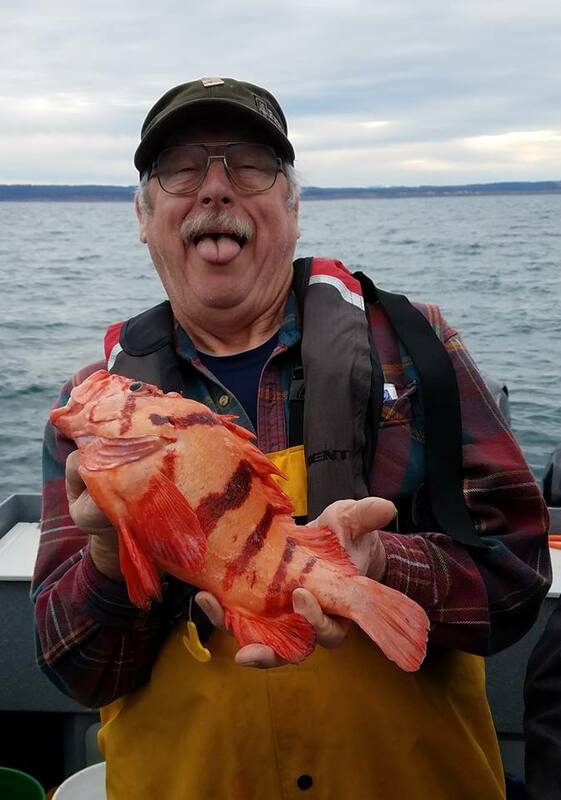 Charter fishing out of Coos Bay offers an experience of a lifetime. Charleston, Oregon is the marina complex that serves Coos Bay, and is a unique fishing village with lots of recreational activities, great scenery, and friendly merchants. There is a lot to choose from here, and visitors can enjoy the best restaurants, fish markets, tackle shops, and fishing on the Oregon Coast. There is nothing like a stroll on the beach combing for treasures, whale watching, riding an ATV on the dunes, or simply watching an amazing sunset at the end of relaxing day. It’s all here in Charleston, and with enough diversity and activities to satisfy anyone’s idea of a great time!